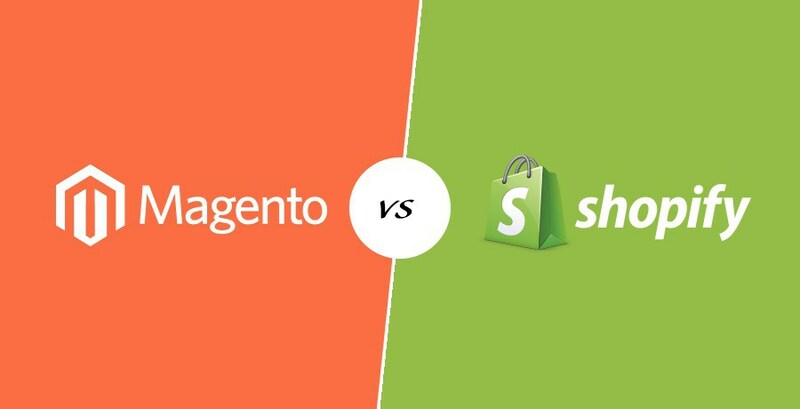 Magento or Shopify: Who wins? “Magento or Shopify?” This is a common question that online merchants asks. Several years ago, Magento was the undisputed ecommerce platform. But don’t look now as Shopify has been giving Magento a run for its money, so to speak. In fact, in June 2016, Shopify even overtook its rivals in Google trends. Given these developments, an online merchant may wonder which one wins in a Magento or Shopify face-off. Here are some of the features an online entrepreneur may want to consider when deciding between Magento or Shopify. Pricing would always be one of the major considerations for any individual choosing between two ecommerce platforms. Both Magento vs. Shopify have their upsides and downsides. The Magento Community Edition is free. With Shopify, merchants have to pay as low as $29 a month for a subscription. While merchants may be tempted to go with Magento because it is free, they should be reminded that Magento does have 24/7 customer support service, fraud analysis and manual order creation— things that Shopify offers to its users. Advanced users may find Magento easier to use particularly in editing files because it connects directly to an FTP client. Novice users, though, may find the design of Magento confusing and thus difficult to use. There is a decent theme marketplace on Magento but many themes are not at par with those featured on Shopify. On the other hand, Shopify offers more varieties of themes. Users don’t also need to be programmers in order to adapt said themes. The ecommerce platform also offers more powerful and mobile-friendly themes. Magento is known for its dedicated community support forum. Here, knowledgeable developers lend their hand to novice users by answering their commonly asked questions and sharing tips and relevant information. Shopify has a better customer support. As mentioned earlier, it has 24/7 customer support service. Users can get help through multiple channels like live chat, phone, and email. The Magento or Shopify debate will continue to heat up in the coming years. Clearly, Magento being free is its ‘ace.’ However, Shopify is closing the gap and could overtake its rival in the near future.